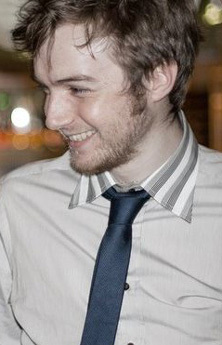 James is a BMus graduate now working for the Associated Board of the Royal Schools of Music. Since finishing my degree I have been working for the Associated Board of the Royal Schools of Music (ABRSM). My role as a Senior International Operations Executive comes with responsibility for the management, development and delivery of ABRSM's work in Malaysia, India, Vietnam and Bangladesh. My CV was very varied as a result of a wide range of courses studied at City (sound recording, music business, composition, advanced performance with Guildhall School of Music and Drama), which helped get me to the interview. Why did you decide to study music at City? I've always loved music, ever since I can remember. I've been composing piano music since I was seven as I always preferred playing my own music rather than someone else's. Through doing ABRSM's grades on the piano and later taking up the guitar, I always felt that I'd study music at uni, and really wanted to do so in London (I grew up in a village near York). London was one of the main reasons I chose to study at City. There are world-famous venues on your doorstep, and it was also a great opportunity to build up contacts while studying - something harder to do if studying in another city in which there is no thriving music scene. Chris Wiley was my third year personal tutor and provided excellent support for my dissertation work. Chris's knowledge of popular music history made him a great tutor of this course too, which was engaging, varied and fun to be a part of. Steve Stanton's passion for music (particularly ethnomusicology) was evident from day one and inspired myself and countless other students throughout the course. We also had the privilege of working with sound engineers from the BBC during our time at City. Jon Leong and Paul Newis both helped tremendously with the sound recording and production module and inspired me to continue making and producing music from my home studio. What was your favourite topic or module? Sound recording and production was by far and away my favourite module. We studied multi-track recording, stereo mic ambient recording, post-production techniques (compression, reverb, gating, sound placement, etc.) and microphone positioning techniques. My long-term career plans have changed since graduating. I grew up with one goal - to write music for films. Now, I want to make good music through many different avenues (film, tv, live performance, studio production, song-writing, session work and music education). City helped to broaden my perspective on what music can offer to the world. University is so much more than the course - location, career opportunities, contacts and social life are all important factors to consider. And don't leave your coursework until the last minute - no good can come of it!